Need a reason to leave your dorm and get outside now that spring break is over? We’ve got five for you! 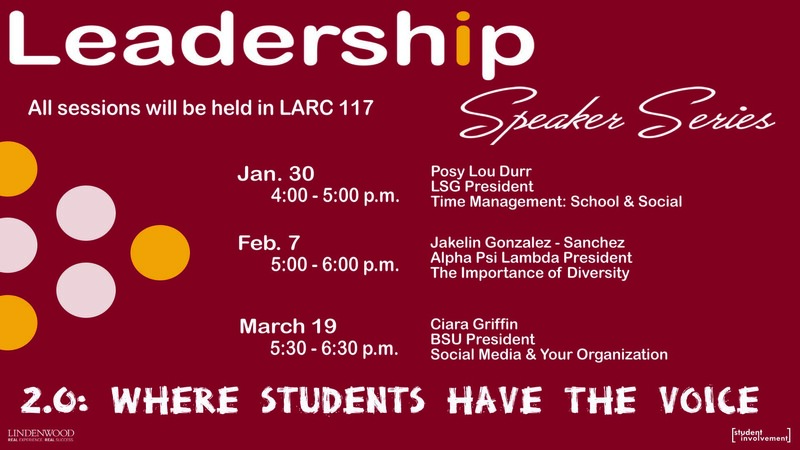 Join Ciara Griffin, president of the Black Student Union, as she shows you how to use social media within your student organization. Griffin’s presentation is apart of the Leadership Series 2.0. Need to de-stress? The Student Resource Counseling Center is showing “Inside Out” and will be providing free popcorn, so grab a friend and head to the LARC Theater. Chris Tomlin is an American Christian music artist who has sold millions of albums. Tickets are $25 and can be purchased on Ticketmaster by clicking here. Do you like macaroni and cheese? Head on down to Union Station this Saturday to taste test tons of it from chefs around the area as you help determine whose recipe is the winner. For more information and ticket prices, click here. This exhibit was designed by Laumeier curator Dana Turkovic while visiting Modern Art Oxford. For more information about the exhibit, click here. Posted April 9, 2014; 10:00 a.m.